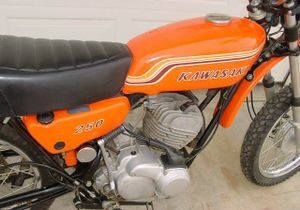 The Kawasaki F8 Bison was a 250cc dual-purpose motorcycle manufactured by Kawasaki from 1971 through 1972 as part of the successful F-series which began with the Kawasaki F4 250cc in 1969. 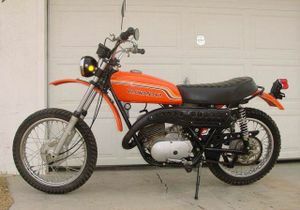 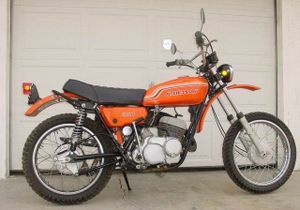 The F8 Bison shared its first year of sales with its off-road brother, the 1971 Kawasaki F81 Green Streak, a motocross forerunner. 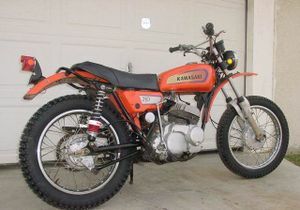 It was the smaller brother of the Kawasaki F4 350cc and had the general overall appearance of the Kawasaki F4 and Kawasaki F5. 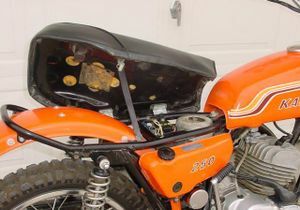 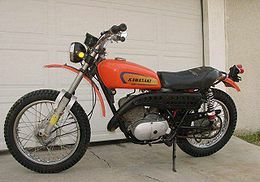 It was a very good Enduro motorcycle with its higher horsepower for its class, an enclosed carburetor to keep out water and dirt, and sufficient ground clearance. 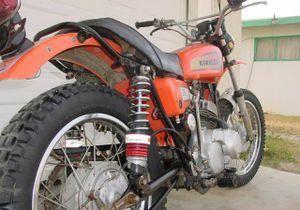 The F8 was also one of the few Kawasakis to utilize the unique Hatta forks.